Walks are an essential part of your pet’s health. Without the right leash, you’ll find that going out for walks is far more difficult. For pets that have a tendency to pull, you’ll need to find a no-pull leash. 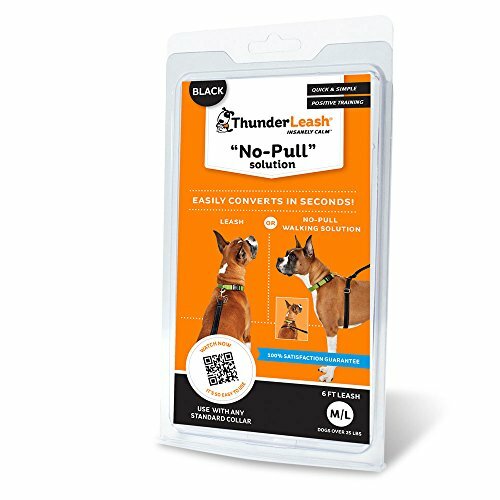 The ThunderLeash No-Pull Dog Leash looks simple at first glance; however, it’s designed to improve the control you have over your pet. There’s nothing quite like having peace of mind when going out for daily adventures. Who Is This Dog Leash Meant For? Much like its name suggests, this leash is specifically designed to prevent pulling. Whether your dog has yet to be trained or if they innately like to pull when walking, it’s a fantastic solution. It’s designed in a way that is still comfortable for dogs but still gives you the highest level of control that you need. The ThunderLeash No-Pull Dog Leash is designed to be user-friendly and easy to attach to your pet. This means that even children can learn how to walk your pets effectively without the worry of being overpowered. Compared to other leashes on the market, this model is designed to be adaptable for any pet owner. It can be used on any type of dog, ranging from small to much larger breeds, which only speaks to its versatility. Additionally, as it’s quite easy to use, anyone in the family can use it to their advantage. Pets who have the tendency to pull while they are walking will benefit the most from the leash. With that said, it can easily be used for already trained pets to reinforce their training. You’ll also love using it as a regular everyday leash or even a backup. When you order the ThunderLeash No-Pull Dog Leash, there aren’t any other items or accessories included with the order. It can be used in a couple of ways, so you don’t necessarily need any other items. However, it would be useful if it also came with a collar and/or harness. This would make the leash ready to use as soon as it arrives, especially if you don’t already have a collar. 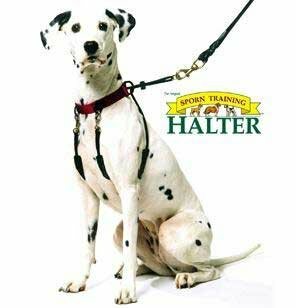 According to ThunderLeash, this model is recommended by trainers who have used it before. It supposedly has an 80% success rate to limit the amount of pulling. Instead of punishing your pet with uncomfortable feedback, this leash encourages a healthier reinforcement. The feedback is gentle but still noticeable, which keeps your dog safer if they do wind up pulling on accident. It’s a more encouraging method to teach your pet not to try to overpower whoever is walking them. There are three different sizes that you can choose from depending on the weight of your dog. The extra small leash is useful for pets under 12 pounds, the small leash is recommended for pets from 12 to 25 pounds, and the large leash is for pets over 25 pounds. One of the features that you’ll love about the leash is how easy it is to use. You can affix it to the collar or harness in a matter of seconds. All you have to do is clip the leash to the collar and wrap it around your dog’s torso. The handle of the leash is incredibly comfortable to use because it features padding. You’ll also find that it’s easy to grab and keep hold of. As mentioned, the ThunderLeash No-Pull Dog Leash is very versatile. Not only does it work as a no-pull leash, but it also doubles as a harness. As you can wrap it around the torso of your dog, you’ll have two different options to choose from. Using the ThunderLeash No-Pull Dog Leash takes little effort, which is why it’s one of the more popular no-pull leashes. Its intuitive design requires two steps to work effectively. It’s recommended that you also add in a reward for positive actions performed by your dog. As with any type of training, it requires a little bit of patience of time. Once you have the collar on your dog, you can then clip the leash to their collar. You then can choose whether you want to wrap the harness component or simply use the leash alone. Once you have finished your walk, you can then remove it from the collar. There are a variety of no-pull leashes available for you to purchase. 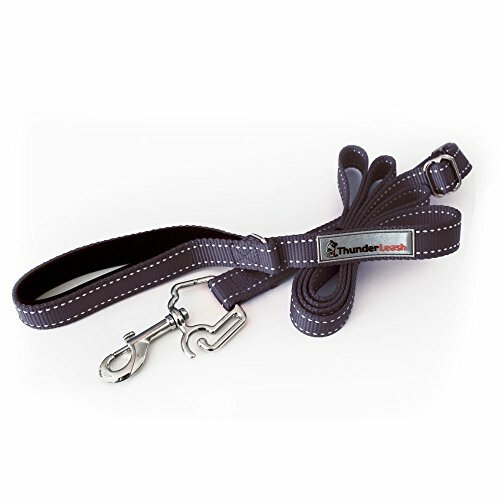 Our favorite compared to the ThunderLeash No-Pull Dog Leash is the Sporn Dog Halter. It has similar features; however, it’s far less expensive and more lightweight. Weatherproofed Material: All of the materials used to build the halter are weatherproof. Additionally, they are incredibly durable. It features nickel-plated steel, nylon webbing, and braided cord. Included Sherpa Sleeves: The harness that wraps around your dog is covered in Sherpa sleeves. This helps to keep it more comfortable when the leash prevents your dog from pulling. Four Sizes: Depending on the size of your dog, you can choose from four different sizes. Whereas the ThunderLeash is only available in three sizes. You’ll find it’s much easier to find the right size for your pet. “Sporn Effect”: The “Sporn Effect” is a patented technology that humanely stops pulling without the need for in-depth training. Investing in a high-quality no-pull leash is recommended for any pet owner that is going to begin training their dog. To assert yourself when going out for walks, you need to prevent your dog from overpowering you. The ThunderLeash No-Pull Dog Leash is designed in a way that is easy to use. It also helps to comfortably teach your dog not to pull whenever you take them outside. With the ability to easily snap the leash onto their collar or to use it as a harness, it’s a very versatile tool to have. You’ll also find that it will help your children feel more comfortable when taking the dog out for a walk. Recommended by trainers, this type of reinforcement is healthy for you and your dog.